I made each student an individual “white board” — a clear page protector filled with white card stock (or several sheets of typing paper). Dry erase markers wipe off easily, and we can insert graph paper or other templates for the lesson of the day. Then I printed the first page of my problem-solving handout and slipped it into the back of each page protector. 1) What do I know? List the facts or information given in the problem. Underline or circle any key words, such as factor, multiple, area, or perimeter. Watch out for mixed units! Express the facts in math symbols, if you can. 2) What do I want? Describe the goal, what the problem is asking you to find. Express the goal in math symbols, if you can. 3) What can I do? Combine the given facts. Can you get closer to the goal? 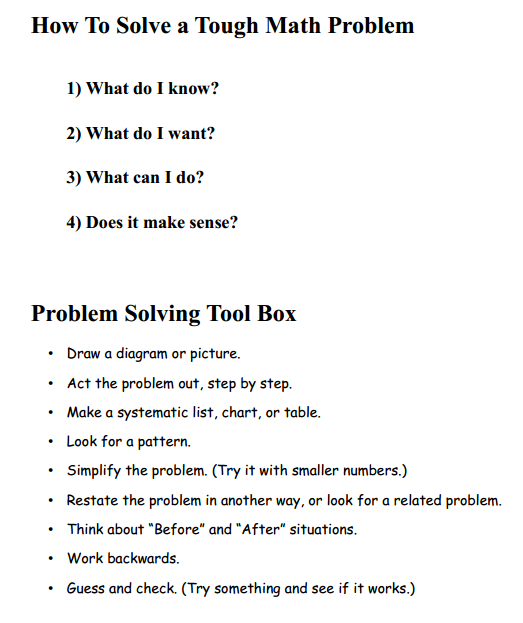 Try a tool from your Problem Solving Tool Box [see below]. Do one little step at a time. 4) Does it make sense? When you get an answer, always look back at the original problem one more time. Do you have the correct units (inches, cm2, kg, etc.)? Can you think of a way to confirm that your answer is right? Draw a diagram or picture. Act the problem out, step by step. 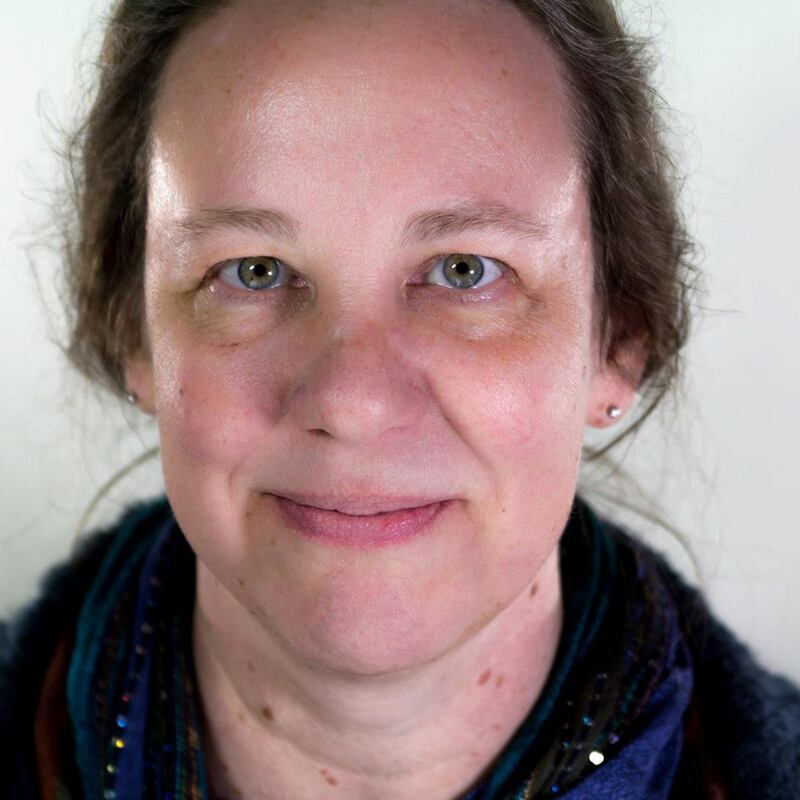 Make a systematic list, chart, or table. Restate the problem in another way, or look for a related problem. Think about “Before” and “After” situations. Edited to add: This post is an excerpt from my book Let’s Play Math: How Homeschooling Families Can Learn Math Together, and Enjoy It! Wow! I love the homemade white board idea! I’m going to school now to be a middle school math teacher and that is definitely a tip I will use! Another thing I would add to the list of “How to Solve a Tought Math Problem” is to cross out any information that is not needed to solve the problem. I see so many kids that think just because some bit of information is in a word problem then it must be used somewhere. I’m new to blogging and will be back to your blog for more tips! Thanks! The white boards have been working very well so far, and my students enjoy them. We’ve done coordinate graphing the last two weeks, with plain graph paper and with this first-quadrant template. My main problem so far is that the kids get distracted by doodling — but I think that will happen less as the newness wears off.